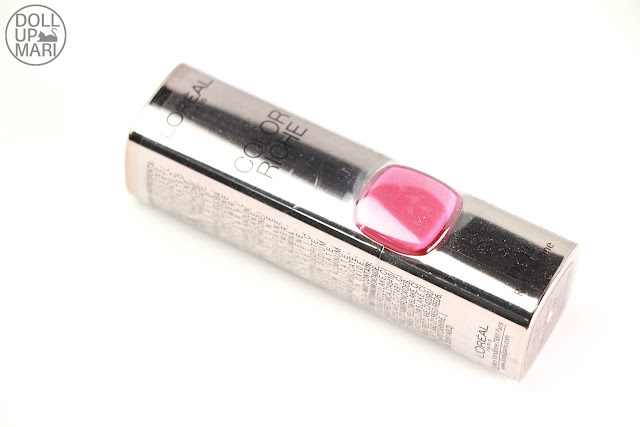 And we are back with yet another one of L'Oréal's Color Riche lipsticks! This is in the shade of Red Valentine. This is obviously pink, but well, I understand why they call it Red Valentine because it's soooo shocking. 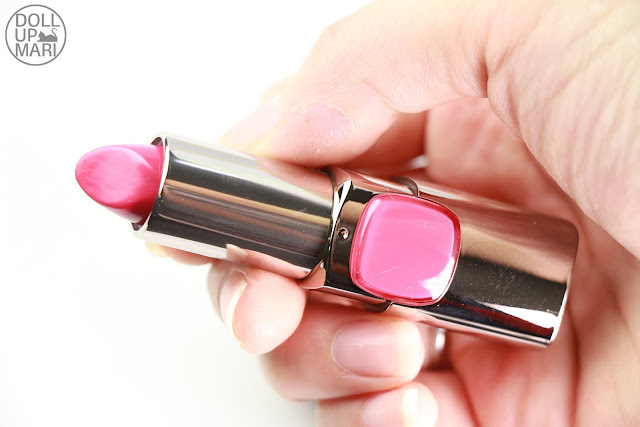 It's a very eye catching, super creamy and buttery kind of hot pink. It's cool toned, but I agree that hue wise, it's not far away from red. It's like red with a little bit of white and a little bit of the bluish undertones. So for this one, it comes with a plastic wrapper. 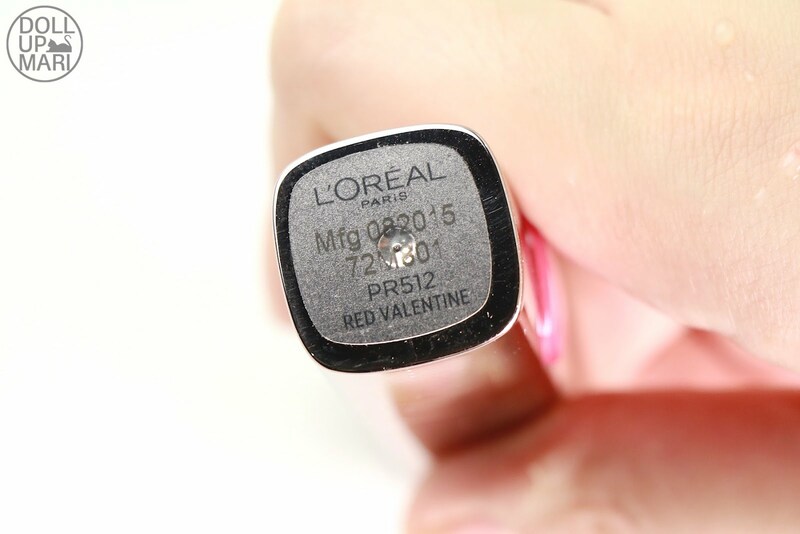 Like the other lipsticks of L'Oréal, it comes with sleek packaging and a tile to show the shade. They sent me two pinkish shades, which is why I am so happy that the tiles are accurate enough that I know which one is this color and which one is a pinkish-orchid color (and that I will also be showing you guys here soon on the blog mehehe). I really don't know what they did in specific with the material their lipsticks are made of but it's so sleek and fancy now. It was actually a pleasure to take the photos of these lipsticks. And this is the bottom of the lipstick. This is the swatch. I know the swatch does no justice to the shade because it's soooo much more opaque and shocking in real life. Up close it doesn't look red at all, it's really a dark hot pink. On the lips, it is much easier to control than Pure Rouge. Smudges are easier to deal with, and the stain it leaves on the sides of the lips is not that strong. It's supposedly the same creaminess as Pure Rouge, coming from the same product line, but this is a little bit more sheer due to having a tiny small (yes I can't use enough adjectives haha) amount of pearlizer. 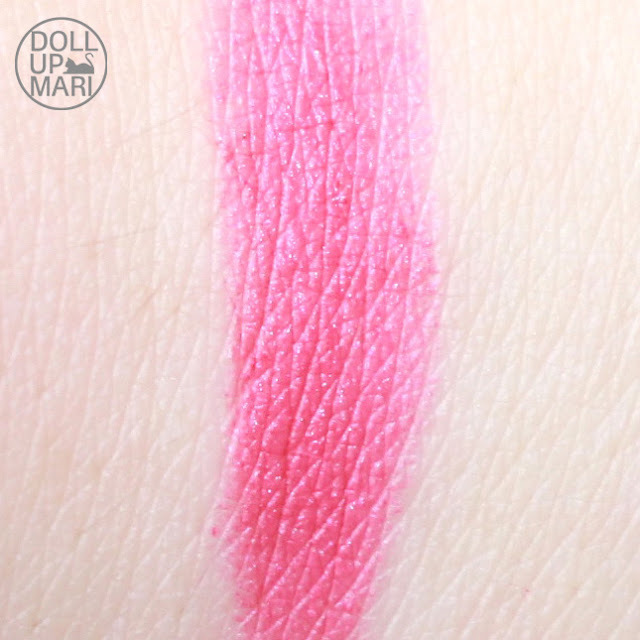 I rechecked the Pure Rouge one and yes it is purely matte with no touch of microshimmer at all. This has a very tiny amount of very small pearly particles that make it a little bit shinier. 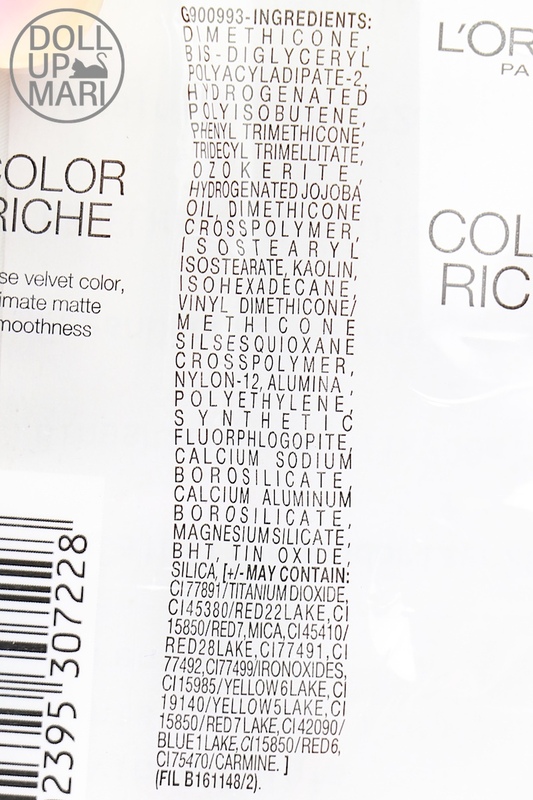 And I guess formula wise the color really is less opaque, it's really meant to be a little bit more sheer, but not Lancôme levels sheer. It's also not as glittery as Lancôme's lipsticks, which is why from afar it will still count as a non-sheer formula, and may even count as matte in the eyes of some due to the creamy formula. Since it is a little bit more sheer, it also shows the cracks and creases on the lips a bit more compared to Pure Rouge. It has the same buttery feeling on the lips, but it doesn't pack on as heavily, which is why you can kind of see the cracked skin through this photo. And this is how it looks like overall. It will grab everyone's attention onto your lips. This is the perfect lipstick to wear when you're dead tired because it will take people a long time before they actually notice your eyebags as they will surely be distracted by this color. 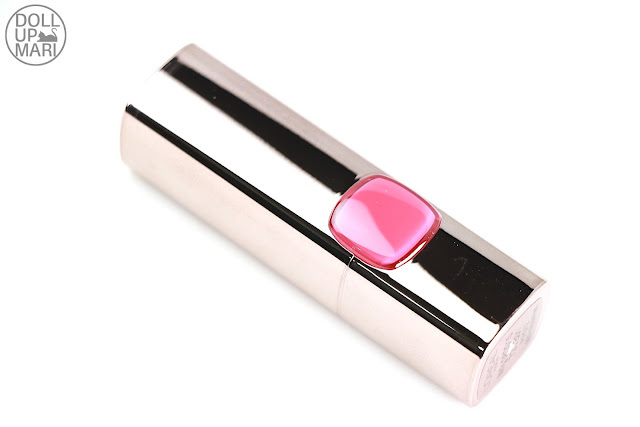 I personally like using this as a tint more of a full-on lipstick because I will be honest that I cannot pull off using this shade as legit lipstick on a daily basis. It's just so vava voom that I thrive better using its cousin, Maybelline's Bold Mattes in Mat 1, for my daily activities. But I feel that for more special occasions, when paired with a full face of makeup, this makes for a very sophisticated and memorable look. Longevity wise it is also the same with Pure Rouge in that it lasts on the lips when eating is not involved. You will need to retouch this whenever you eat if you like to maintain the opacity throughout the day. But if you want to use it just as a tint and pat it on, you can actually pat it on in the morning and go about the day and still see the tint at the end of the day. I like the texture of this lipstick, but it's not something I will use full blast, or will use alone (without mixing in a lighter lipstick or a gloss). And yes, this is also Php400 a pop at L'Oréal counters nationwide.